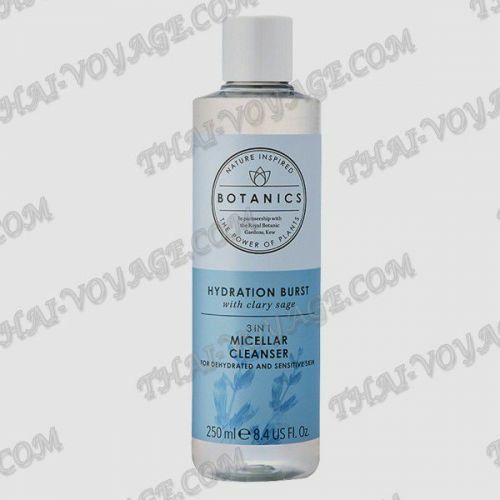 If you have dehydrated and sensitive skin, this ultra-soft, non-flushing makeup remover, rich in moisturizing sage extract, is perfect for you. The non-alcoholic formula is filled with the soothing sage extract chosen for the Hydration Burst series because of its ability to self-preserve water in dry conditions. Application: use in the morning and evening. Apply the product to the skin with a cotton swab. Hold on eyelashes, eyelids and lips for a few seconds, then wipe the skin. No need to rinse or RUB the skin hard.